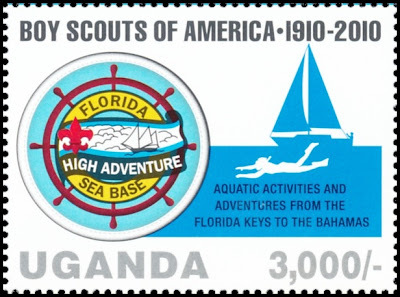 This stamp features aquatic activities as one of the adventurous undertakings of the boy scouts of America. 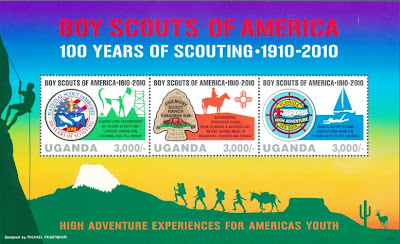 The stamp is one of the 3 found in a souvenir sheet released for Uganda in 2010 to celebrate the centenary scouting. 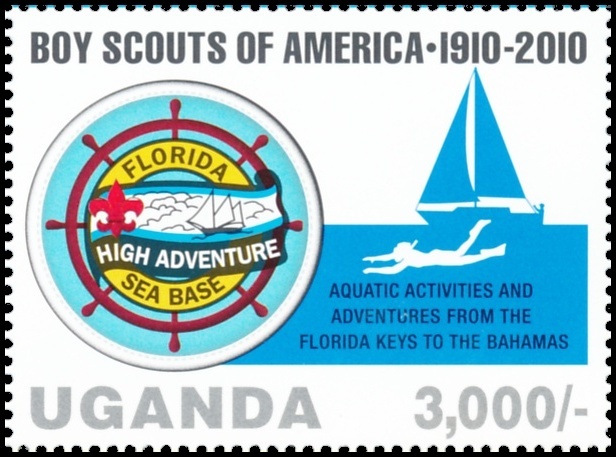 The stamp features the silhouette of a skin diver.